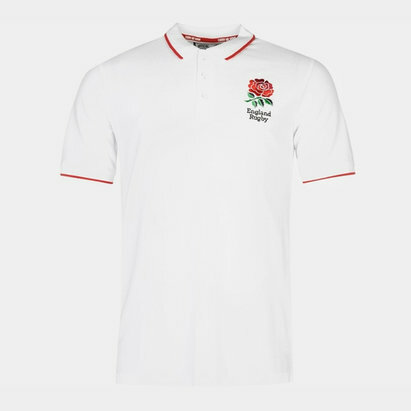 Cheer on England and help Carry Them Home this 6 Nations and Rugby World Cup when you wear this England 2019/20 Cotton Pique Rugby Polo Shirt from Canterbury. 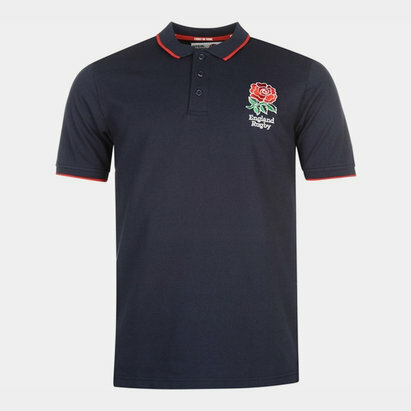 The England Cotton Jersey Stripe Polo has a ribbed collar with 3 button placket and ribbed cuff for comfort. The forward facing shoulder seams reduce irritation when carrying a backpack. This top comes in grey with black sleeves. 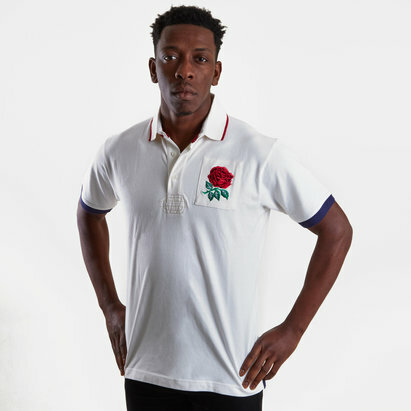 The CCC logo and England Rose have been embroidered onto the shirt on left and right, respectively. 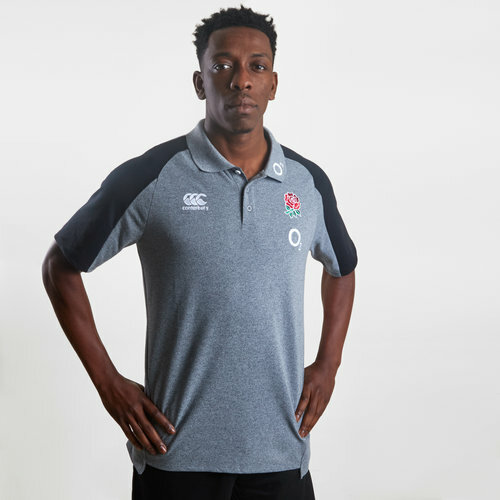 The team's partner, O2 - a collaboration since 1995, is embroidered underneath the rose and onto the left collar.